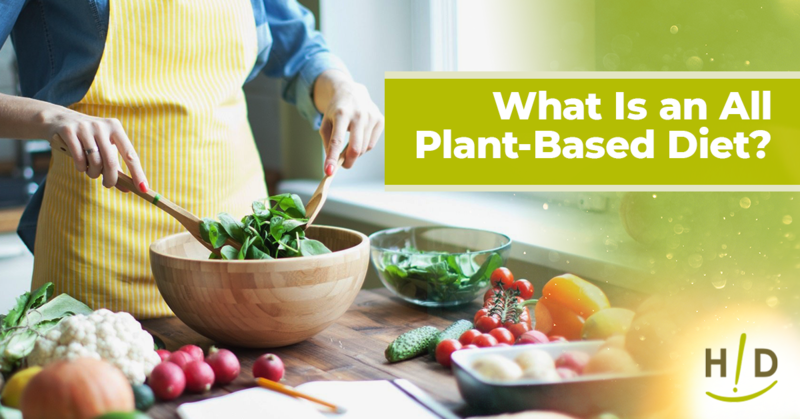 What Is an All Plant-Based Diet? A plant-based (vegan) diet is composed of plenty of healthful plant foods, including vegetables, fruits, grains, legumes, and nuts. This diet eliminates foods from animal sources, whether those are meats, eggs, or dairy products. 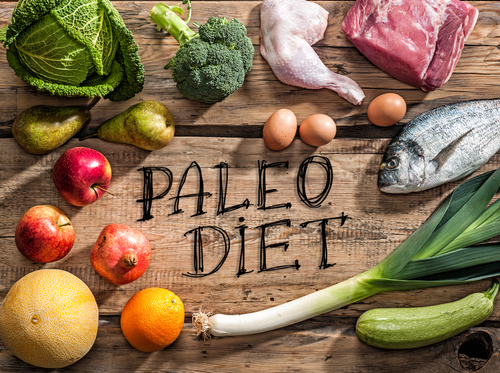 Many health professionals are recommending plant-based diets like the Hallelujah Diet to their patients due to the numerous health benefits. 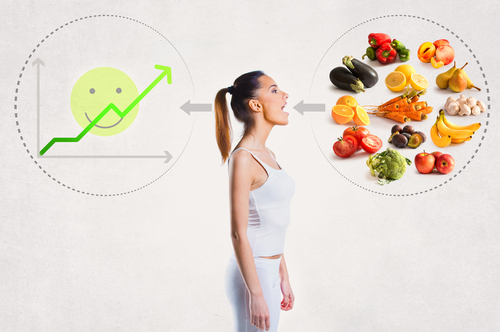 For many people, switching to a plant-based diet doesn’t happen overnight. Many people begin the process by going vegetarian first, sometimes for a year or more, before they go vegan. Others may not give up animal products right away but will focus on eating more plants. Transitioning to a plant-based diet takes time—it does not have to be an all-or-nothing endeavor. Implement “meatless Mondays” and “Dairy-Free Fridays” for a month. Add on more days as you can. Stock and eat only vegan health foods at home and eat what you want when at restaurants or parties. Try the “crowd out” approach. Think of what plant-based foods you want to eat, and buy them. Fill your pantry with many delicious vegan ingredients and, over time, you will eat more of them. Planning your meals ahead of time is one of the ways to ensure success when you switch to a new diet. Before you grocery shop for the week, decide on the plant-based meals you will cook. Write out your grocery list. Having enough ideas for meals will ensure that you do not fall back into old eating habits. You will also want to be conscious of what you can and cannot eat when you are out in public. If you are invited to a party, bring a side-dish you can eat. Before going out to a restaurant, use the Happy Cow or Yelp app to locate vegan-friendly restaurant options in your area. Bring a cooler and box of “your” food when you travel by car or visit others—and offer to cook some meals. Alternatively, make sure you eat enough before going out in case the options available to you are lackluster. It’s okay if you cannot follow a plant-based diet 100% of the time. However, you can try to avoid temptations to fall back into old eating habits by being mindful of the choices available to you. 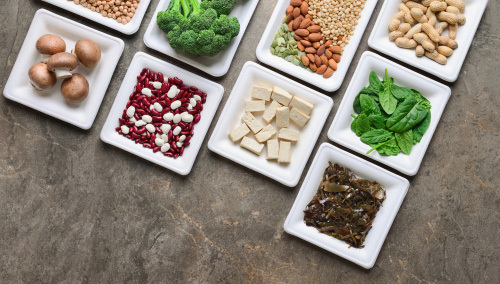 When you switch to a plant-based diet, it’s important to recognize how the nutrients you receive in food will be different. Many plant-based foods are filled with fiber, potassium, magnesium, iron, folate, and vitamins A and C. A vegan diet gives you many beneficial nutrients. While many people assume vegans do not get enough protein, that is rarely the case. Instead, iron and vitamin B12 are more likely to be a concern. However, there is no need to worry. There are many available options for a plant-based diet to provide all the protein, iron, and vitamin B12 you need. Nutritional information states grams of protein per 100g (3.5 ounces) serving unless noted otherwise. Hemp Seed – 32g – Not only is it high in protein, but it also contains all 20 known amino acids, including all 9 essential amino acids. Foods that contain all 9 essential amino acids are considered complete proteins. This makes hemp seed a perfect high-protein vegan food choice. Try putting raw hemp protein powder into your morning smoothie or oatmeal. It can also be used in homemade salad dressings and protein bars. Seitan – 25g – Also known as wheat meat or meat gluten, it is a non-soy-based meat substitute. You can find it in the refrigerated section of most health food stores, or you can make your own using gluten powder or washing the starch from a ball of dough, leaving the protein or gluten behind. Sunflower Seeds – 11g per ½ cup! – Sprinkle on salads or snack on them raw. Kidney Beans – 9g – Use in vegan chili or bean salads. Chickpeas – 9g – Use to make hummus or add to soups and salads. Lentils – 9g – Use in salads, soups, and stir-fries. Quinoa – 4.4g – Like hemp seed, it is a complete protein. Use it as a warm or cold breakfast cereal with almond milk or make a salad or soup from it. Black Beans – 8g – Use in hummus, soups, and salads. Navy Beans – 8g – Use in soups and salads. Almond Butter – 7g (per two tablespoons) – Put on bread or in smoothies. Spelt – 6g – An ancient grain (in the wheat family) – Find spelt bread in your health food store and make a vegan BLT. Contrarily, you may purchase spelt flour and make blueberry pancakes. Kale – 4.3g – Delicious in salads, smoothies, and soups. Chia Seeds – 4g in 2 tablespoons – Use as an egg replacement, in smoothies, or sprinkle on salads. Green Peas – 5g – Eat as a healthy snack all on their own, or add to soups. Spirulina – 4g in one tablespoon – Spirulina is blue-green algae. The Advanced Superfood supplement is an easy way to add spirulina and a host of other superfoods into your diet. Brussels Sprouts – 3.5g – Enjoy them roasted with other root vegetables. Asparagus – 3.1g – Try an herbed raw recipe! Broccoli – 3g – Enjoy raw with hummus, or lightly cooked. Jerusalem Artichokes – 3g – Try these roasted. Spinach – 2.9g – Enjoy raw in salads, smoothies, and juices or lightly cooked. Pair vitamin-C-rich foods with foods high in iron to significantly improve iron absorption. An adult between the ages of 18 and 50 should aim for 17-20 mg per day. 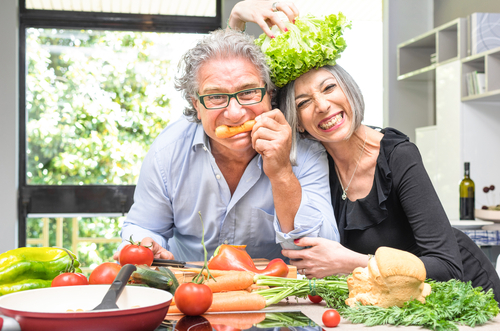 Women over the age of 50 need about 16mg per day if following a vegan diet. Chickpeas – 12.5mg in one cup – Make hummus, salads, and soups. Black beans – 5.3mg in one cup – Use in a delicious bean salad. Pumpkin seeds – 4.2mg in 1oz (2 tablespoons) – Sprinkle on oatmeal, blend in smoothies, or add to salads and bread. Spinach – 3.6mg in 100g – Eating your greens every day is super important when switching to a plant-based diet! Lentils – 3.3mg in 100g – Use lentils in soups, salads, or as a stir-fry alternative to rice. Tomato sauce – 2.5mg in one cup – Use over spiralized veggie pasta or make gazpacho. Lima beans – 2.4mg in 100g – Pair with chickpeas and black beans for a delicious salad. Green peas – 2.1mg in one cup – Enjoy them in a Burmese-inspired salad. Hemp Seed – 2.9mg in 30g (two tablespoons) – From smoothies to pasta, hemp seeds can be used in a variety of dishes. Quinoa – 2.8mg in one cup – Quinoa may be the most versatile food out there. You can use quinoa in almost any recipe! Chia seeds – 1.9mg in 30g (two tablespoons) – Make breakfast pudding. Almond butter – 1.1mg in 30g (two tablespoons) – Spread on toast with bananas. Pumpkin seeds – 4.2mg in 1oz (2 tablespoons) – Add to bread and salads. Broccoli – 1mg in one cup – The bonus of broccoli is that it contains 168% of your daily recommended value of vitamin C, which helps iron absorption. Eat it raw or lightly cooked. Kale – 1mg in one cup – Eat many servings of this superfood each week! Raisins – 0.8mg in 1.5oz (the size of a small box) – Sprinkle over your salads or enjoy as a snack. Cashews – 1.9mg in one ounce (¼ cup) – Eat raw as a snack, on salads, or even blend with water to make a vegan sour cream and serve on chili! Sunflower seeds – 1.6mg in 30g (two tablespoons) – Sprinkle on any meal for an added crunch. Wild rice – 1mg – Enjoy in a salad or soup. Pumpkin – 0.9mg in one cup – Give raw pumpkin pie a try! Vitamin B12 is only found in animal products unless a product is fortified with it. Cereals, nutritional yeast, and non-dairy milk can be fortified with it, but they may not always be. Supplements that include vitamin B12 are important to take when going plant-based so your body does not miss out on the key ingredients it needs. Inevitably, when you switch to a plant-based diet, you will try many new foods. Have you ever heard of kohlrabi, jicama, or broccolini? Search for a recipe using one of them. Do you keep flax and chia seeds in your pantry? They can boost the nutrition of many foods and serve as egg replacements when blended with water. Will almond or coconut milk become your new go-to? Both kinds of milk are delicious in different recipes. Coconut milk is often used to form a thick, creamy base to a dish like a soup, stew, or cream sauce. Almond milk is used in most other cases, such as smoothies and oatmeal, and as a drink. To avoid becoming overwhelmed, try to replace one item each week. Week one you can swap cow’s milk for almond milk. Week two you can remove cheese, replacing it with nutritional yeast or cashew-based cheeses and cream sauces. While shopping for food, you will learn to read nutritional labels carefully. There are numerous animal-based ingredients that you may have never heard of. They include gelatin, lactose, whey, casein, sodium caseinate, egg white albumen, red dye, cochineal, carmine, isinglass and shellac,. Some name-brand nuts have gelatin-based coatings, so be mindful when shopping! A quick tip is to jump to the bottom of the ingredient list and see if the FDA labeled the product as containing milk or eggs. In addition, there is an app available called “Is It Vegan?” which you can use in stores to determine if a food is vegan. Just scan the barcode of the food in question, and you are good to go! Since you will be following a whole-foods-based vegan diet, many foods will not have an ingredient list at all. When you turn away from processed foods, you will find it much easier to eat plant-based. Fruits, vegetables, grains, legumes, beans, nuts, and seeds are all vegan in their natural form. When you go plant-based, you may find that your conventional grocery store is not the most appealing option anymore. Farmer’s markets and co-ops are great places to get locally grown fruits and vegetables. Trader Joe’s and Whole Foods offer many plant-based options, as well as discount outlets like Aldi and Amelia’s. Check out your local health food stores for non-dairy alternatives, nuts and nut butter, grains, beans, pasta, dried fruit, spices, teas, and nutritional supplements. Online retailers can carry some hard-to-find options in bulk, so look into that as well. An ultra-convenient way to get affordable vegan food is to grow your own! Fruits, vegetables, and herbs can be grown in gardens and pots. Determine the produce that you will eat the most and learn to grow it. If that is not an option, see if your area has a local community garden that you can join. You will learn to cultivate produce alongside more experienced individuals. Typically, you will be able to take some items home after working. You can try the same approach with local farmers as well. Transitioning to a new diet can be intimidating at first, so it’s great to surround yourself with like-minded individuals. Many people experience greater success in their plant-based life when they have a supportive community. Search online and in social media for plant-based Meetups, forums, and in-person events where you can get together with others to share tips, challenges, and recipes. You can check out our Facebook community and find like-minded people in your area. Using our 60 Days to Reclaim Your Health program is a great way to start your new lifestyle. Remember, you are not alone on this journey. With proper support, you can thrive with a plant-based life. 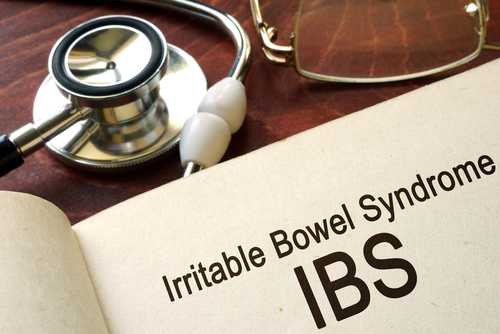 Will a Plant-Based Diet Help My IBS Symptoms?